Hi and welcome to the all-new Recreational Sea Angling UK (RSA-UK) website. 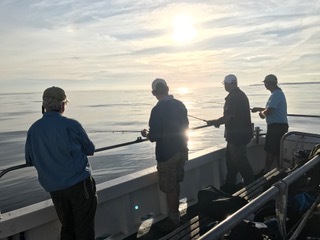 RSA-UK is dedicated to the promotion of Recreational Sea Angling primarily this org is for those who like to go deep sea fishing on charter boats. Anglers a free to chose how often they want to enter and in which sector Some may choose to fish both days once on the North Coast and once on the South coast thus having the potential of collecting a total of £1000 in prize money. If your viewing this site on your mobile phone or some tablets please scroll down to see the full site navigation navigation menus.